Our Party is organized on a regional basis. This is true within the U.S. and throughout the world. The current six Party regions within the U.S. are the Northeast, Southeast, Southwest, Midwest, West and Northwest. During recent meetings, the Central Committee has been entertaining the idea that because of the demographics—the areas of the U.S. where Africans are concentrated—it would make more sense to limit the Party regional designations to four. This would be North, South, Midwest and West. Internationally the territorial designations of different Fronts of the Party include North American, Caribbean, European and Africa. Africa was broken up into several regions: Northern, Southern, Central, East and West Africa. Our organizational strategy has been based on the idea that once designated, regional leadership would initiate and carry out the plans for building the Party throughout the regional territories. Within the U.S., for example, this means that there would always be dynamic, ongoing oversight and leadership for recruitment and for establishing the Party’s presence throughout our structures. The same should be generally true throughout the African world, with the Motherland having a special significance because of its strategical centrality to the realization of our ultimate aim of the liberation and unification of Africa under the leadership of the African working class as represented by its Advanced Detachment, the African People’s Socialist Party. We have some organizational shortcomings that have affected our ability to build our regional work with maximum effectiveness. However, with the re-establishment of the Office of the Party Secretary General and growing Party membership among young, energetic African working class women and men throughout the world, our potential for carrying out our regional strategy is growing. A major difference in how our regional work must occur now is not only in how we designate regions geographically, but how we unite the principle of the unity of economics and politics and how this is reflected in our organizing strategy. Our recognition of the fact that politics are simply concentrated economics must be brought into our political work in a more dynamic and practical way. It must become an irrefutable component of everything we do. This is what gave the UNIA, under the leadership of Marcus Garvey its attraction for the masses of African people worldwide. 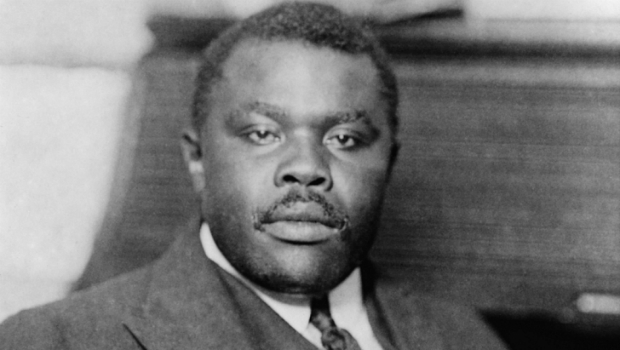 This is what made the original Nation of Islam (NOI) appealing to millions of Africans although most were not interested in joining the organization that was based on religious obscurantism that separated itself from the actual political struggles of Africans outside their businesses and places of worship. All of our regional work must become political and economic hubs under the leadership of the Central Committee for each of the designated regions. This will mean an integrated approach to Party building and operations everywhere. Because of this integration, the Party will always be conscious of the relationship of the political to the economic work. If we use the U.S. as an example, we already have a relatively strong Party presence in each of the proposed four designated regions. Additionally we have an array of economic institutions, some very strong and well established while others are fledgling and just beginning to flourish. Currently the economic work we are most involved in promoting is the Black Power Blueprint. This is a major economic project that has brought inspiration to Africans throughout the U.S. and elsewhere. In a short period of time, a matter of months, Comrade Deputy Chair Ona Zené Yeshitela has driven this project, most often from the construction sites themselves, in the thick of dirt and construction and in the torrid, sometimes suffocating, heat of the St. Louis without air conditioning and the cruel, numbing cold in temperatures that are often subzero. Politically the Party has built a meaningful presence since the 2014 assassination of 18-year-old Mike Brown, an assassination done in a manner that was intended by the colonizer as an example of the consequence of resistance to the colonial State in the form of the domestic occupation military force known as police. The African People’s Socialist Party has been the only organization to have built an independent political presence to further the liberation of our people from the colonial chokehold that starves us of resources and freedom. The headquarters of the International People’s Democratic Uhuru Movement (InPDUM) is now located in St. Louis, the place of residence of its president, Comrade Kalambayi Andenet. Comrade Kalambayi, new to our Party and to political life, has brought with her the spirit of the African working class and exemplifies the leadership of real life African women as opposed the airbrushed imitations offered up by the white ruling class and the African petty bourgeoisie collaborationists. The African People’s Socialist Party has a real presence in the St. Louis-Ferguson area. Our community meetings include regular community people that includes children and young people who have given their own twist to African Internationalist politics, taking them to their neighborhoods and the colonial schools. Neo-colonial office holders who have abandoned all the resources of our colonized communities to the bankers and white colonial rulers of the city have begun to create paltry imitations of our Party programs. They are attempting to use the politics and economic projects of the Party, Black Power Blueprint, to endear themselves to our people. However, they have a big problem. Namely, politics is truly concentrated economics and their politics ring hollow because they respond to the economic interests of the colonizer and not the colonized. Our economic project is aptly named Black Power Blueprint because self-reliance is key to self-determination, to the struggle against colonial subjugation. Ours is a blueprint that enthralls the entire colonized African population, a blueprint that is the possession of the much maligned African working class. This is why it is supported by African contractors who we have hired, but who in real life are only skilled workers themselves and because of their unity with the struggle to uplift the African community, go above and beyond what a paycheck could ever bring. The African contractors are beginning to see the vanguard. They, like the residents of the neighborhood associations whose meetings we attend have been won to Black Power Blueprint because of what it obviously brings to our community that has been suffering political and economic quarantine and deterioration. It is the first glimpse of concrete development most have seen in ages. It is the only glimpse of concrete development that is initiated and led by the advanced detachment of the African working class. In St. Louis we have transformed a 9,000 square-foot, three story formerly-abandoned and once-deteriorating community eyesore on a main thoroughfare into a model of development. It is the site of our latest Uhuru House and the center of much of the Party’s Midwest Regional leadership. In addition to the Uhuru House, we have acquired two commercial buildings of similar size across the street from the Uhuru House. These buildings will be demolished and, along with the two other contiguous lots we have acquired, will be transformed into an event space and African community garden to address the cultural and material needs of this working class community. We have acquired other properties to further economic and political projects under the leadership of the African working class. Among them is a massive building that was once a boathouse on another major thoroughfare. This will become the site of Uhuru Bakery and Cafe and the African Internationalist Workforce Project that will provide training and some employment for Africans whose prior prison convictions prevent them from acquiring training and employment. This is only a hint of what our Party is doing in St. Louis. You will hear and see more of what is being discussed during the progress of our Congress. This is simply another concrete manifestation of the fact that we are practical revolutionaries, that African Internationalism is a theory of practice and that we do, indeed, constitute the advanced detachment, the vanguard of the African revolution. St. Louis is part of the Midwest Region, one of what will in all likelihood be one of four regions. There are three other regions where our Party is located and within which we also are invested in serious political and economic development of work. In the West Coast Region we are primarily based in Oakland, California where we have engaged in political work with more or less intensity since 1980. When our political presence has waned, we have still been able to maintain our economic work for several decades. Our original Uhuru House is located in Oakland and we have successful furniture store and food and pie enterprises that are mainstays of our economic work. However, our political work leaves much to be desired. It is weaker than what is needed for the growth and development of our economic work and for the growth and development of the Party and Uhuru Movement altogether. In the Northern Region we also have a successful furniture store and a One Africa! One Nation! Flea Market that contributes to the livelihood support of more than 100 African vendors. And, although we do have a new, recently assigned regional leader, we are still developing our plan for the development of the Party and our Movement in the region. In the South we have the benefit of the second oldest Uhuru House and oldest Party base in the U.S., located in St. Petersburg, Florida. We also have a commercial kitchen that makes a substantial contribution to the overall economic activity of our Party and Movement. Our Movement’s FM commercial radio stations are also located in St. Petersburg. Together these institutions provide further evidence to our colonized people of what the possibilities are for independence under the leadership of the African working class. Similarly in Huntsville, Alabama, the All African Peoples Economic Development and Empowerment Project has launched Zenzele, a consignment store that is building an economic capacity for funding its work and a local community garden to serve the material needs of the people and establish a model of self-determination that can be imitated by our people. While in Houston, Texas our annual Juneteenth celebration occurs within an AAPDEP community garden and is developing into a cultural center and One Africa! One Nation! Market. This is just a sketch of the work we are doing in each of the designated Party regions within the U.S. They are nevertheless substantial enough to support the necessity for members of the Party to recognize your status as the advanced detachment of the African working class, the vanguard of the African revolution. This should be sufficient to convince every member and supporter of the Party and Uhuru Movement of the value of our Party and your role as a member and supporter.